A thousand years ago, Hawaiians gathered at 'Iao Valley to celebrate and honor the bounty of Lono, God of agriculture, during the annual makahiki festival. More than a hundred years ago, visitors began coming to witness the natural beauty of this valley. 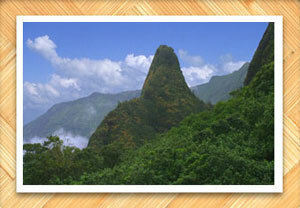 Today, 'Iao Valley is recognized as a very special place for both its spiritual value and spectacular scenery. It's also very easy to access. Travel to Wailuku Town, and you're only minutes away from 'Iao. During periods of warfare, warriors used the peak as a lookout. It was here that some of the Maui warriors retreated from the forces of Kamehameha I during the Battle of Kepaniwai. Kuka'emoku is an erosional remnant. It is at the end of a ridge comprised of a denser dike stone. Streams and waterfalls eroded the softer rock around the dike stone. 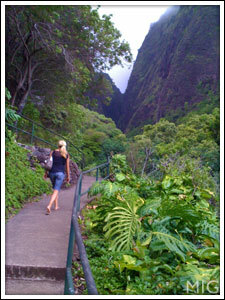 When you climb the 133 steps to the top, you will be rewarded with a great 360 degree view of 'Iao Valley and Wailuku. Trails skirt dramatic coastline or follow pooling streams to Waimoku Falls at the head of a densely forested valley. At Kipahulu you can get a sense of how people lived in old Hawai'i. Foundations of old village sites, cultural demonstrations, and a living taro farm are preserved and perpetuated. 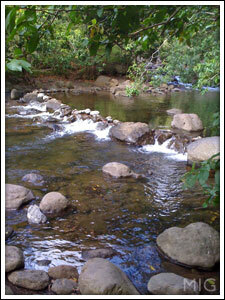 The streams of the valleys of Waikapu, Wailuku, Waiehu, and Waihe'e are known as the four waters. The fertile lands and abundant water made this area the largest agricultural system in Hawaii and a major population center of Maui. Imagine this landscape 200 years ago. Kalo (taro) fields cover the valley floor with 'auwai (ditches) diverting water from the streams to irrigate the planted terraces. The hale (houses) of the farmers dot the valley slopes while the hale of the fishermen line the shore of Kahului Bay. Haleki'i and Pihanakalani Heiau on the dune along 'Iao Stream are the religious center of this very important area. With Western contact, the landscape of the Wailuku Plain began to change. By the late 1800's, much of the kalo was gone and fields of sugarcane irrigated with water from the four streams covered the plain. From the highest peak of Pu'u Kukui to the shoreline of Kauhului Bay, the ahupua'a (land devision) of Wailuku was a favorite place of Ali'i (chiefs) and a ruling center of Maui. 'Iao Valley is part of the ahupua'a. As one of Maui's most important political centers, many battles took place here. 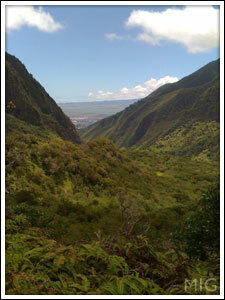 Wailuku translates as the "waters of destruction" referring to its history of battles and floods. 'Iao is so sacred that the remains of the highest chiefs were entrusted to secret hiding places in the valley. Kaka'e, ruler of Maui in the late 1400's to 1500s, is believed to have designated this valley an ali'i burial area. The presence of Pihanakalani, a large heiau (temple) near the shore and along 'Iao Stream, denotes the religious significance of 'Iao. In the late 1780's, Kamehameha I from the island of Hawai'i began waging battles to unite all the islands under his rule. In 1790, he landed along Kahului Bay with a large fleet of canoes. 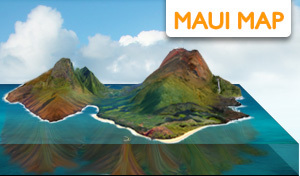 At Wailuku, Kamekamha's forces met the Maui forces under Kalanikupule. Kalanikupule was placed in charge while his father, ruling chief Kahekili, was living on O'ahu after defeating the Oahu forces in 1783. This battle for Maui is said to be one of the bitterest ever fought on Hawaiian soil. As the warriors reached 'Iao, their shouts of defiance echoed throughout the valley. Women and children on the mountainsides were witnesses to the clashing of wooden spears, the firing of muskets, and the roar of the cannon. There were so many slain from both armies that their bodies clogged the stream. Thus, the battle was named Kepaniwai or "Damming of the waters." The guns and cannon were the winning advantage for Kamehameha. But he and Kalanikupule were destined to meet again in the battle of Nu'uanu Pali on O'ahu. With Kamehameha's defeat of the forces on Maui and O'ahu and an agreement with Kaua'i, he became the first mo'i (king) of the Hawaiian Islands. The loss of magma from the summit results in a collapse that forms a caldera. Erosion begins with the formation of gullies on the flanks of the volcano. Hot, steamy gases continue to rise and soften the rock long after the lava flow ceases. Rain collects near the former summit and 'Iao Stream gradually cuts through the softened rock. As erosion continues, an amphitheater valley is sculpted. Smaller streams erode side gulches and enlarge the valley. The deposited rock and soil at the mouth of the valley add to the Wailuku Plain. As plants carpet the surface, they stabilize the valley walls and floor. 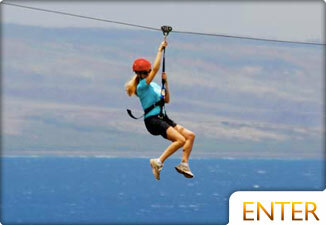 But what began as a native Hawaiian forest has become a landscape dominated by alien vegetation. An enchanting area for Maui visitors and locals alike, Iao Valley has endless opportunities to capture the perfect photo, connect with nature, and learn more about Hawaii’s culture, history and spiritual relationship with the outdoors. 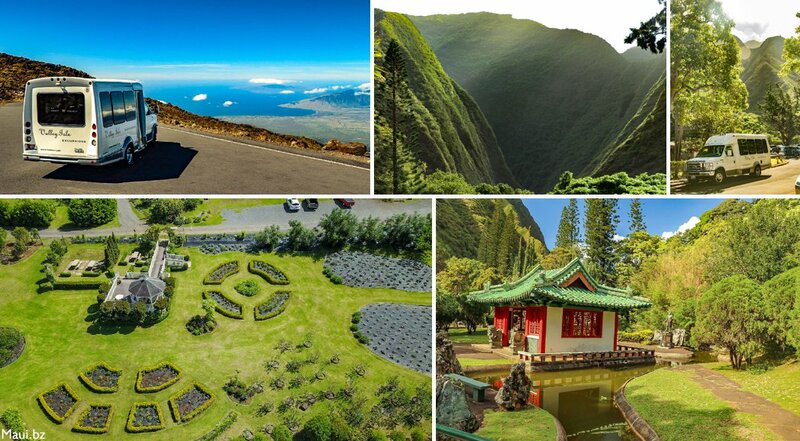 While visitors are welcome to explore the area on their own, a guided Haleakala Maui Tour offers deeper insight into the importance of the area, as well as the nearby Kepaniwai Park & Heritage Gardens, established in the 1950s to showcase Maui’s vast ethnic heritage. 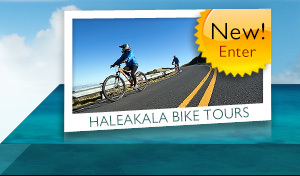 Guests of this memorable guided tour are also treated to a driving tour of Haleakala Volcano and view from the summit, in addition to an Upcountry picnic and visit to the area’s eucalyptus forest and notable ranches. 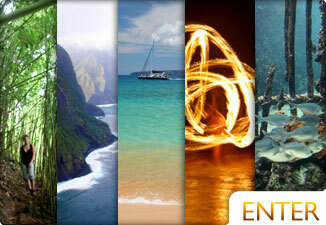 Call (808) 661-8687 for more information or to make a booking for your Maui trip. The trails of the park are paved but may be slippery when wet. The trail is steep in places so take your time. Along the rail are several stops you may want to make but stay on the designated walkways. Swimming in 'Iao Stream is not recommended. The rocks are very slippery and the water flows quickly. Caution: Flash floods can occur without warning. Care for this sacred place and show respect as you visit this special area. We'd like to thank Iao Valley State Park for all of the great information above. 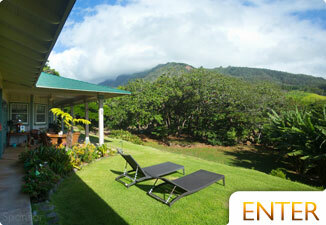 Enjoy privacy in a beautiful, natural setting at this B & B. Explore this area at the foot of The West Maui mountains. 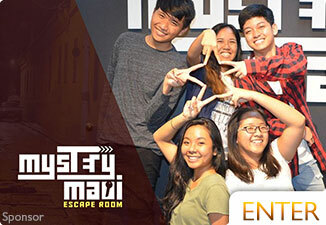 Find the best restaurants and activities of Paia, Kahului & Wailuku. 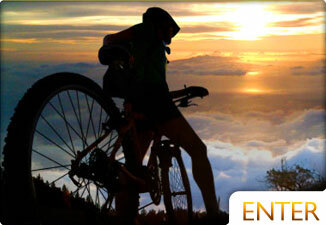 Maui has incredible mountain biking, especially in Makawao.